Looking for your perfect dating site but not sure which one’s the right fit? We’re here to help. 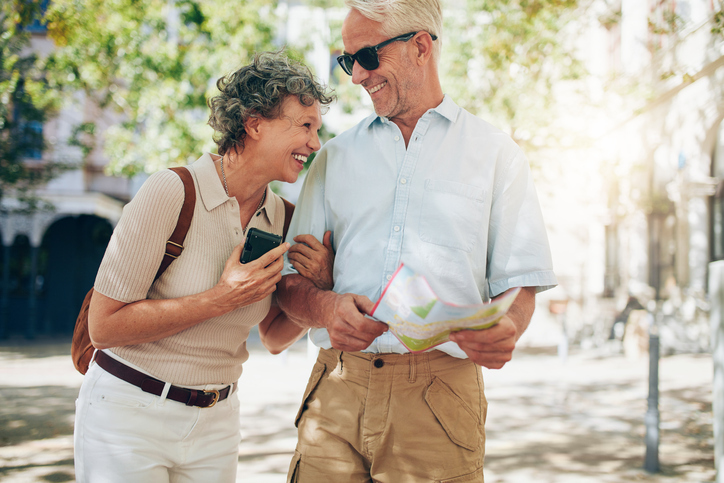 We’ve compared two of the most popular sites for the 50+ crowd - Zoosk and OurTime - to help you decide which site to head to, to make online dating work for you. OurTime is all about helping senior singles find exactly what they’re looking for - whether that’s companionship or a relationship. You won’t be matched with someone twenty years younger than you or with whom you have nothing in common. Get daily matches or search on your own - the choice is yours. Zoosk’s Behavioral Matchmaking tool is a definite stand-out. The unique algorithm continuously learns your likes and dislikes and suggests matches based on these preferences. So the more you use the site, the better the site understands what it is you’re looking for. OurTime is part of a group of newer dating sites that have sprung up in the last few years to fill the void of singles left out by more traditional dating sites. The site comes from the same people behind Match.com, which means they know what they’re doing - they’ve already got over one million users. Zoosk has been around since 2007 and is the most popular dating site, with millions of users worldwide. One of Zoosk’s most highly rated bonus is its security feature. Security is a huge concern in online dating. Zoosk’s photo verification software ensures that any photo you upload to the site is the real deal - so no fake profiles here. OurTime has great chat options that make it easy to connect with other users - such as safe SMS messaging, instant chat and mutual matching introductions. You can choose to sign up with Zoosk for either 1, 3 or 6 months at a cost of $29.95. $19.98 or $9.99/month respectively. This makes Zoosk one of the most reasonable options for online dating on the market today. At OurTime, the price is $11.99/month when you sign up for the 6 month basic package and $12.99/month if you opt for the premium plan (features include a highlighted profile and highlighted messages). Zoosk and OurTime both offer great features, a huge pool of users and are extremely mobile-friendly, which makes it easy to browse profiles and chat from anywhere. But thanks to bonus features like Behavioral Matchmaking and more competitive pricing, Zoosk takes home top prize in this battle.